Many of you are familiar with the Circle of Mary gatherings. Sitting quietly together, we meditate on the Loving heart of the Beloved Mother of Christ as She has directed. For the past 11 years I have had the amazing and humbling privilege of channeling Mother Mary’s messages within these blessed circles. Many times I sit alone in front of my little altar to ask a simple question. Mother Mary invariably graces me with a profoundly wise and heart opening answer. Sometimes these answers were personal. At other times they were meant for the world. I have been writing these messages during the past 10 years, in hopes of one day sharing them with you. I wasn’t sure, but I knew Mary would provide the way. Upon hearing this statement from the Mother of Christ, I began to sob, imploring to Her that I was not the one. That I was not worthy of such a sacred task. “Elizabeth, write!” she said. And so I was directed to pick up my pen and begin. Because who can argue with Mother Mary? 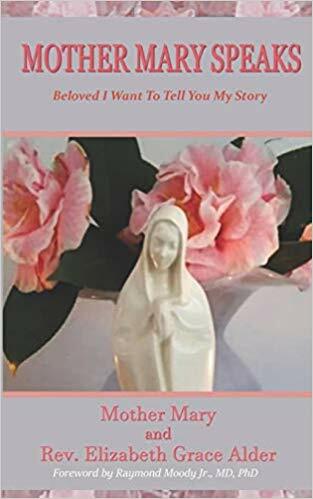 So in just a few short weeks the book, Mary Speaks – Beloved I Want to Tell You My Story will be available.